This screen shot in InDesign is for a new document. Notice the Bleed and Slug areas at the bottom are usually defaulted to "0 in". Set them to ".125 in" (or one eighth of an inch). Now that the Bleed is set to "0.125 in" Another good practice, is to set the Margins. This can also be the "Safe Zone" for keeping text away from being cut off if the printing, or trimming goes slightly off. A good number is "0.25 in". This should be how your corner page should look now with the numbers you have input. 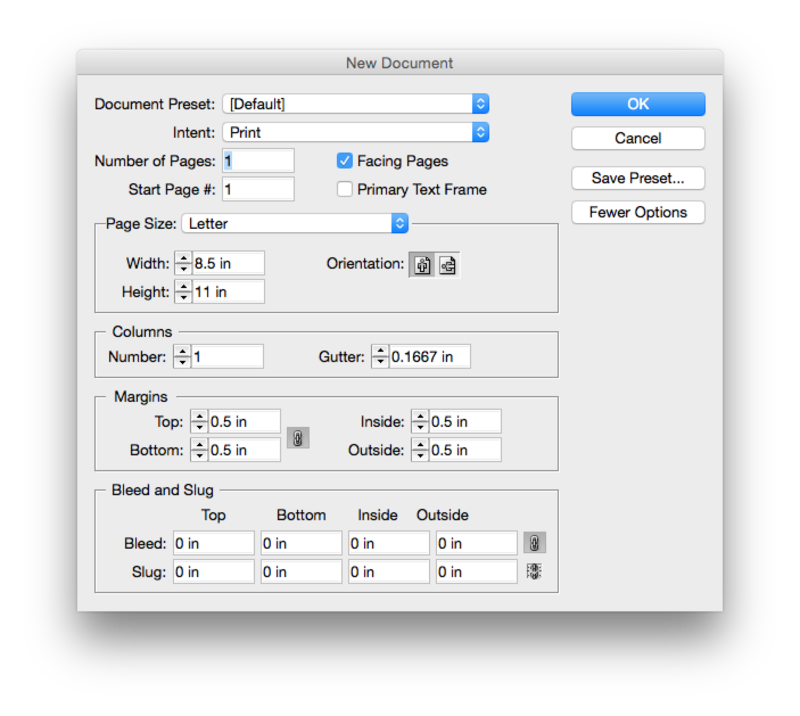 When creating your document, make sure to stretch any image area right out to the bleed area, past the page itself. Next will be exporting a PDF to include these settings. One of the most important, but usually most forgotten is the bleed in the file. Bleed is the area around your page that gets trimmed off after printing. It's a safe and simple practice that ensures you get the image right "off" the page when trimmed after printing. Here are some steps in InDesign on how to go about creating, and using them before sending for printing.